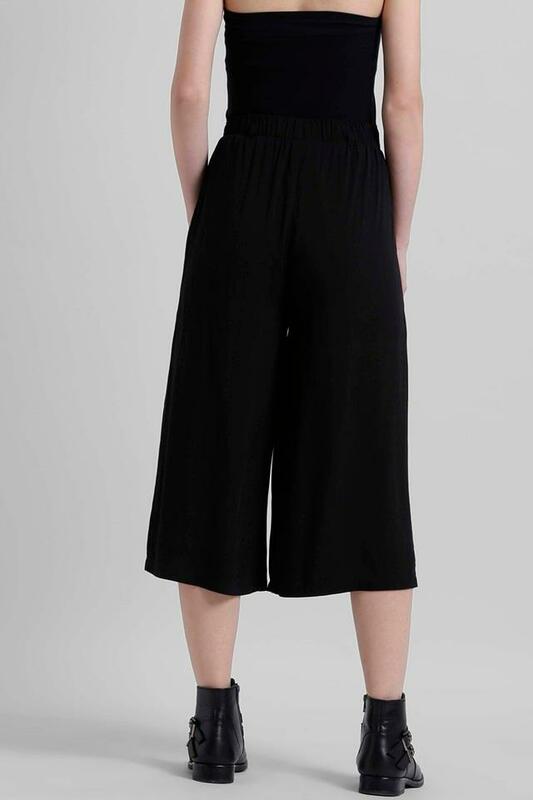 Elevate your stylish collection with this pair of culottes from Zink. They come with a solid pattern that gives them a simple yet stylish look, while the use of premium quality rayon fabric ensures utmost comfort for long hours. Besides, the two pockets allows you to keep your necessary items. Pick a relaxed style with these culottes. They can be teamed up with a top and sneakers to complete your stylish look.